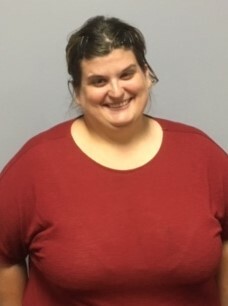 CHARLESTON – Nicole Ann Dill, 34, of Charleston, passed away Wednesday, November 28, 2018 at her home. Her funeral will be at 11:00 a.m. Monday, December 3, 2018 at the Bluegrass Church of God, 17990 Bluegrass Road, Martinsville. Burial will follow in Bluegrass Cemetery. Visitation will be one hour prior to the service. Arrangements: Harper-Swickard. Nicole was born August 23, 1984 at Paris, Illinois, daughter of Rodney and Margaret (Rardin) Dill. She is survived by her mother: Margaret Dill of Martinsville; one brother: Ricky Dill of Marshall; and her maternal grandmother: Elizabeth “Betty” Rardin of Martinsville. Several nieces, nephews, aunts, and uncles also survive. She was preceded in death by her father, paternal grandparents, and her maternal grandfather.